Most new technology firms first focus on the domestic market and then internationalize slowly, one stage at a time. They become global by emergence, not by design. Recent evidence suggests that the conventional phased approach to internationalization that is widely used to grow new firms is not working as well as it used to. Stage models of internationalization take too long, cost too much, and increase risks for both investors and customers. Technology entrepreneurs, as well as the academics, educators, service providers, and policy makers who serve them, need to search for better approaches to launch and grow technology firms. Today, a few scholars and practitioners are making compelling arguments for the implementation of a concept referred to as “born global.” The key argument for “born globals” is that new technology firms must compete globally from inception. They must be global by design, not by emergence. Proponents of stage models of internationalization see born globals as deviations and variations, and inconsistent to their models. The purpose of this article is to clarify the salient and distinguishing aspects of the born-global concept as it applies to new technology firms and call for key organizations in Canada’s capital region to lead the launch and growth of a large number of born globals in various diverse sectors. While the born-global concept applies equally well to new firms as well as to ventures undertaken by established firms operating in non-technology sectors, for the purpose of this article I will focus on the born-global concept as it applies to new technology firms. Subsequent articles will focus on the implementation of the born-global concept to new technology ventures in established firms and to firms that operate in non-technology sectors. Technology entrepreneurship is very important for growth, differentiation and competitive advantage at the company, regional and national levels. Technology entrepreneurship is not about the general management practices used to operate small businesses owned by engineers or scientists. Moreover, technology entrepreneurship is not just about small-company formation. A technology entrepreneur champions the investment in the assembly and deployment of specialized individuals and assets that are intricately related to advances in scientific and technological knowledge for the purpose of creating and capturing value for a firm. The relationship between the entrepreneur and the firm must be clearly understood. Answers to two questions must be clear, theoretically sound, and possible to operationalize: Why do firms need technology entrepreneurs? Why do technology entrepreneurs need firms? Technology entrepreneurs create and capture value for the firm through multi-year projects that combine specialists and assets to produce and adopt technology. Investments in projects are the mechanisms mobilized to create and capture value for the firm. The individuals involved in these projects influence, and are influenced by, advances in relevant scientific and technology knowledge. The project exploits or explores scientific and technology knowledge. External and internal individuals and organizations co-produce the project’s outputs. Born globals are firms designed to compete globally from their inception. These ventures harness advances in science, technology, engineering and mathematics to exploit global market niches from inception. A born-global technology firm can be readily distinguished from new domestic-based small firms and conventionally internationalizing firms by examining the projects in which it invests. A born-global firm from inception invests in projects to assemble and deploy specialized individuals and assets to derive significant competitive advantage from the use of resources and sales of outputs in multiple countries. Investment in projects, not the aspirational intentions of top management teams, is what differentiates born globals from other firms. While many founders talk about their aspirations for their new technology firms to become global, only a few invest in projects designed to use resources and sell products and services in multiple countries within the first three years of their firms’ life cycles. Two outcomes differentiate the performance of born globals from the performance of new domestic-based small firms and conventionally internationalizing firms: Time-to-cash from exports, and percentage of sales in multiple countries. At age three, exports to multiple countries of born global firms account for more than 25 percent of revenue. Born globals grow much faster than other firms. The born-global concept offers to be as disruptive as open-source licenses were. The disruption that open-source projects caused had more to do with the business models they enabled than the code they produced. Similarly, the born-global concept is disruptive because it enables business models that are much stronger than those enabled by the conventional phased approach to internationalization. Born global is more about profiting from innovative business models than just selling to foreign customers. Export-import startups: Coordinate a few activities, and operate in a few international markets. Multinational traders: Trade few products in a large number of international markets. Geographically focused startups: Coordinate many initiatives, sell in small number of international markets. 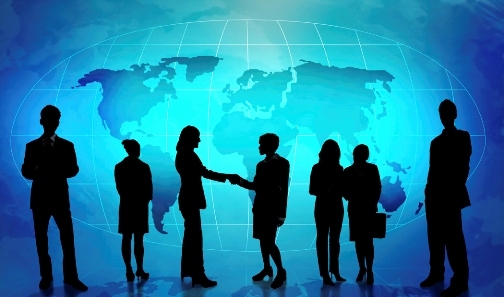 Global startups: Coordinate may initiatives, sell in a large number of international markets. In the context of new technology firms, the firms that benefit the most from the born-global concept are those that can be categorized as geographically focused and global startups. Environmental, organizational and managerial factors affect a new technology firm’s ability to be a born-global firm. While academics have referred to born globals as deviations from their conventional staged-internationalization models for the last 20 years, we know relatively little about the antecedents and consequences of born globals and how to best manage them. Born-global firms seem to perform better than domestic firms and firms that follow the conventional approach to internationalization. Born-global firms link their project investments to global business from inception. Born-global firms target homogeneous customers that are concentrated globally. Born-global firms offer very innovative products and services. Entrepreneurs championing born-global firms have international experience and their mental models about business are not negatively affected by long distance. Born-global firms are linked to state of the art advances in science and technology. Concentration of born-global firms is strongest in regions with small domestic markets. Born-global firms are very effective at levering networks and business ecosystems. Born-global firms exhibit a greater entrepreneurial orientation than other firms. Born global firms engage in collaborative experimentation and production of new products, assets, and their attributes much more than other firms. Tony Bailetti is director of the Institute of Technology Entrepreneurship and Commercialization at Carleton University. His research, teaching and community contributions support innovation for the purpose of generating revenue for young technology companies and developing the regional economy. He has published in Research Policy, IEEE Transactions on Engineering Management, Journal of Product Innovation Management, and R&D Management.